TSI CEO Marta Wilson Honored with SmartCEO Brava! Award - Transformation Systems, Inc.
Washington,DC—Washington SmartCEO recognizes this year’s Brava!winners at the 2013 Brava! Awards to take place on Wednesday, July 31at 6:00 p.m.at the Samuel Riggs Alumni Center. The Brava! Awards celebrate the distinguished achievements of 25of Greater Washington’s women business leaders and five nonprofit leaders. The 2013 Brava!winners will be profiled in the July 2013 issue of Washington SmartCEO magazine. The Washington Brava! Awards, now in its seventh year of celebration, kicked off with a nomination process ending in March 2013. Across the Mid-Atlantic, over 200 nominations were collected for the program. To be considered for the Brava! 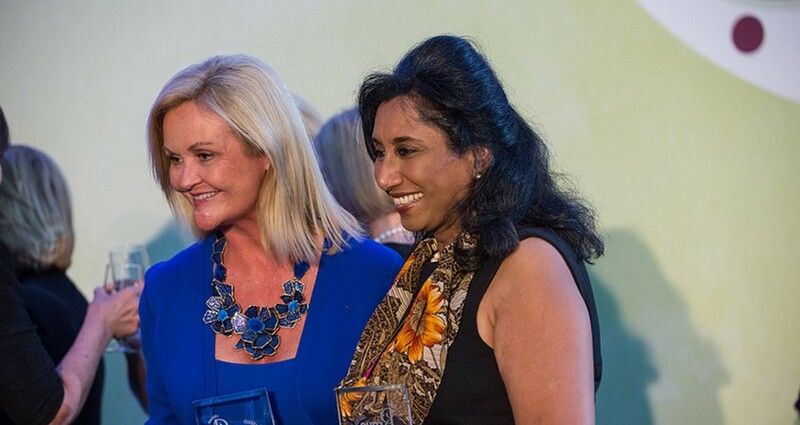 Awards, nominees were required to be women executives leading companies that generated at least $1 million in revenue and who encourage local philanthropy, mentor fellow CEOs and set their companies on the path to tremendous growth. A group ofGreater Washington business leaders came together to form the Brava!committee and to choose this year’s winners. For more information on the Brava!winners, visit www.smartceo.comto view the digital edition of the July 2013 issue. The winners will be celebrated at the Washington Brava! Awards ceremony on July 31, 2013, at the Samuel Riggs Alumni Center. An expected sell-out event, 400 local C-level executives and guests will attend to celebrate their achievements. Past Brava!winners including members of the Washington Brava! Hall of Fame as well as potential inductees will also be in attendance. Selected past Brava! winners will also be honored with their induction into the Brava! Hall of Fame. The event will kick off with a cocktail reception followed by the awards ceremony and a final toast to the women leaders of Greater Washington. Suit donations will also be accepted the evening of the event for SmartCEO’s Washington Brava! Awards charity partner, Suited for Change, an organization which helps low-income women to increase their employment and job retention potential by providing professional attire and contributing to their economic independence.